Governor Babatunde Fashola continued to spread his new traffic law crusade yesterday with his ‘arrest’ of a police officer riding a 100CC engine motorcycle popularly called ‘Okada’ on the ever-busy Agege Motor Road in Ikeja without an helmet. The police officer, identified as Ebahan Johnson, was reported to have initially resisted arrest until he realized the arrest was being effected by the governor’s entourage. The governor got Johnson arrested during his inspection of projects in the Lagos-West senatorial district. He warned that the state government will not condone any act by anyone violating the state’s road traffic law which was signed to bring sanity into road transportation. “There is no society where laws are not broken but the state government will increase its enforcement in order for residents to comply with the law. 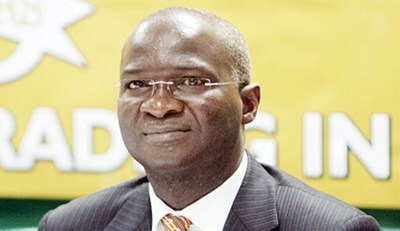 And as we move on the road and we see any one violating the law, we will stop and arrest them”, Fashola warned. The governor assured that the police officer will be handed over to the commissioner of police, Umar Manko, for prosecution. “I am sure he would be prosecuted,” he assured. This guy needs to stop saying "Please leave".